Aideepen Double BTS7960B DC 43A Stepper Motor Driver Module H-Bridge PWM Driving Board for Arduino Smart Car by Aideepen at Wakaf Center. MPN: 7010261. Hurry! Limited time offer. Offer valid only while supplies last. Overview: This driver uses chips BTS7960B composed of high-power drive full H-bridge driver module with thermal over-current protection. 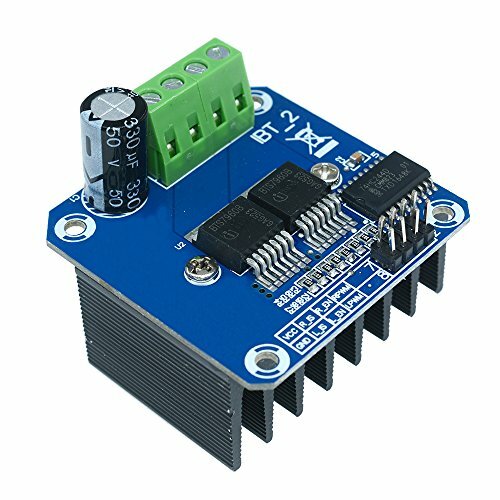 This driver uses chips BTS7960B composed of high-power drive full H-bridge driver module with thermal over-current protection.